To maintain the beauty of your composite decking, a little care and cleaning goes a long way. Learn how to clean your composite deck with our tips. To maintain the beauty of your deck, a little care and cleaning will go a long way. All exterior building materials require cleaning and a composite deck is no different. For early-generation composite products (Trex Accents®, Trex Origins®, Trex Contours®, Trex Profiles® or Trex Brasilia®), we recommend a semi-annual cleaning with a composite deck cleaner. If your deck is one of the high-performance product lines (Trex Transcend®, Trex Enhance® or Trex Select®), soap-and-water cleaning or a gentle pressure washing will do the trick. Learn how to clean and care for your composite decking by reading the information that applies to your decking product and get ready to enjoy maximum outdoor living with minimal maintenance. Most colored chalks are permanent and may discolor the surface. Use only Irwin Strait-Line®* Dust-Off Marking Chalk (purple) available at www.Irwin.com. Remove all debris from the deck using a hose or broom. Once the deck surface is dry, apply a “brightener” ** to the deck as directed by the manufacturer. Deck brighteners contain oxalic acid, which will remove tannins. If debris, such as pollen and dirt, is allowed to remain on the deck surface, mold can feed on the biofilm. Using a hose and warm, soapy water with a soft bristle brush is recommended to remove the food source and mold. Use a pressure washer with no greater than 3100 psi*** that has a fan attachment/adjustment and soap dispenser may be used to remove dirt, concrete dust, or other types of construction dirt. Spray deck with soap, then follow by gently scrubbing each deck board with a soft bristle brush. Spray/rinse each individual deck board using a fan tip no closer than 8″ from the decking surface. RINSE THOROUGHLY. If dirty water from cleaning is left to dry, this will cause a film to remain on the decking surface. Store decking on a flat level surface and always use proper supports (dunnage), Do not store directly on the ground. When stacking decking bundles, supports (dunnage) should start approximately 8″ (0.20m) from each end and be spaced approximately 2′ (0.61) on center. In addition supports (dunnage) should line up vertically/perpendicular to the decking product. Adjust support blocks (dunnage) accordingly if bundles are loose. 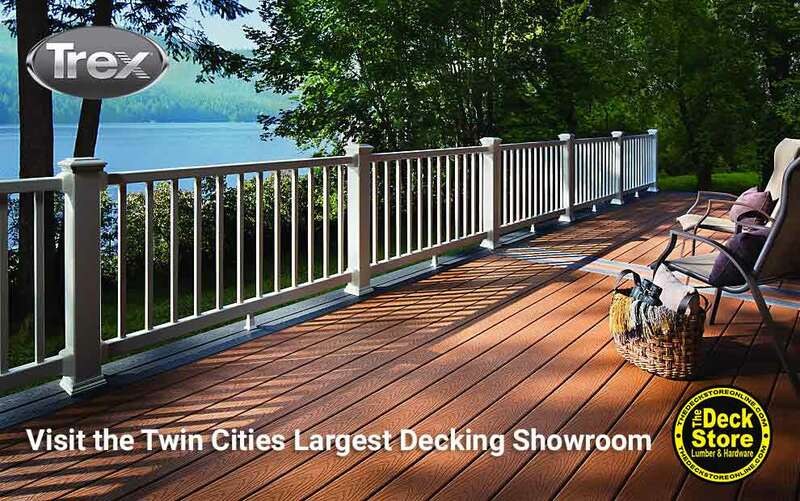 For Select decking, 1″ x 12″ and 1″ x 8″ products, the maximum stack height is 12 bundles. For all other decking products, maximum stack height is 14 bundles (IMPORTANT TO NOTE THAT PROPER DUNNAGE SPACING MUST BE IN PLACE FOR THESE HEIGHTS). When stacking multiple bundles, ensure that dunnage lines up vertically down through each stack. Always cover decking products on site until ready to be installed. * Strait-Line® is a registered trademark of Irwin Industrial Tool Company. *** Use of a pressure washer greater than 3100 psi could damage the boards and void the warranty. **** Mr. Clean® and Magic Eraser® are the registered trademarks of The Procter & Gamble Company. ***** Scratch Seal™ Clear Sealer Pen is a registered trademark of Dupli-Color® Products Company.